Season seven of Game of Thrones premieres this week. Rickon is still dead; Jon Snow is still not dead; Cercei is still terrible; Daenerys is coming home; and Tyrion may or may not be a Targaryen (but definitely is). With the action shifting back to Westeros and the North (No king but the king in the North whose name is STARK(-Targaryen? )), most of the season is filmed in Northern Ireland. Scroll down to see the beauty of Westeros before it’s covered in snow and dead White Walker shards. The bulk of scenes that take place at the home of House Stark are filmed on the 820-acre grounds of Castle Ward in County Down. The 16th-century tower castle formed the backdrop to the courtyard scenes at Winterfell and Bran’s infamous paralyzing fall. 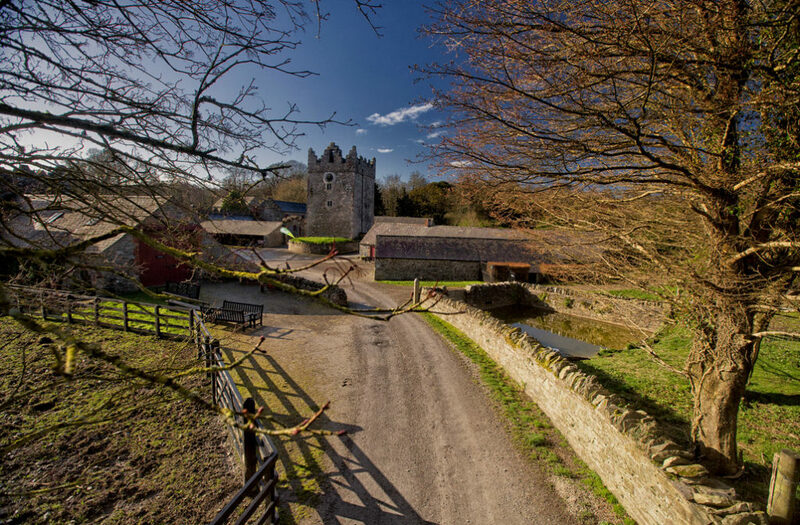 Banking on it’s Game of Thrones links, the castle has introduced a full Game of Thrones experience complete with Winterfell costumes, archery, medieval-style meals. 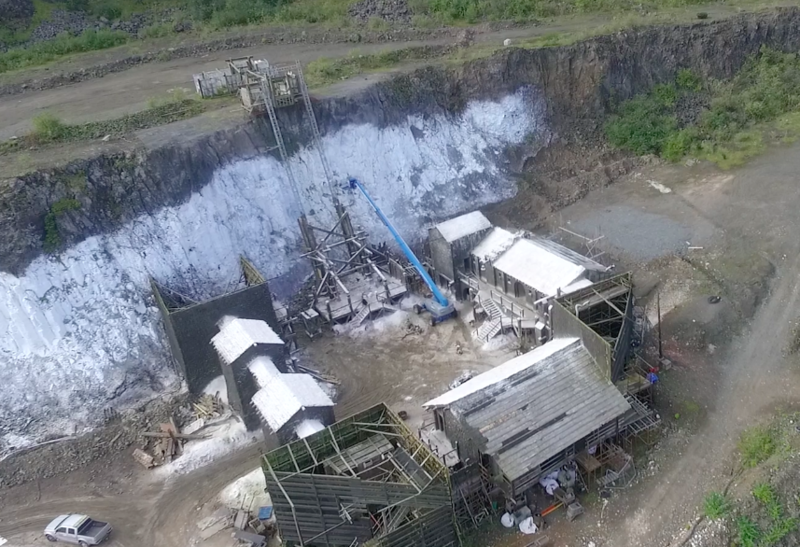 Filmed at the abandoned Magheramorne quarry in County Antrim, the crew actually built Castle Black with a working elevator to film the ground scenes set at the home of the Night’s Watch. It’s also the location for the Battle of Hardhome, which took a month to shoot. 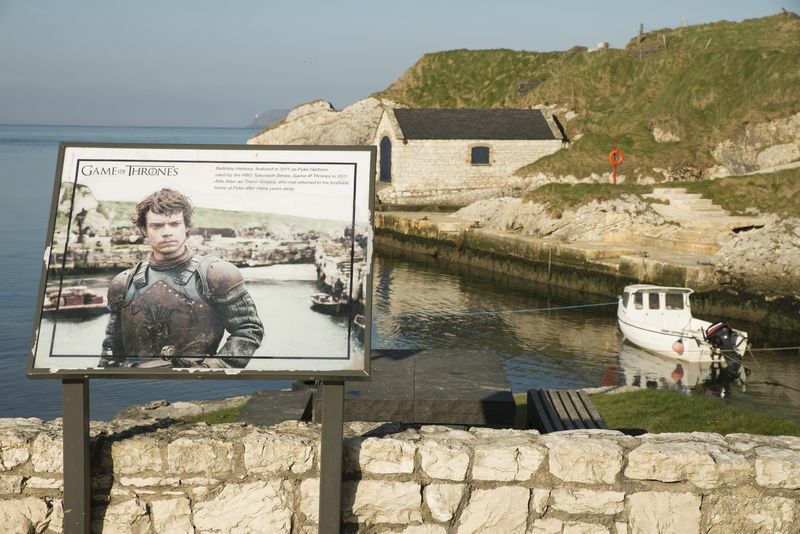 Westeros’s Iron Islands’ scenes are filmed at Ballintoy harbor, on County Antrim’s Causeway Coast only a few minutes from the Giant’s Causeway by car. The small town has a population of just under 170 and hasn’t seen any major development in decades, preserving the look and feel of a 18th century harbor, perfect for the capital setting of Lordsport. The nearby Carrick-a-Rede rope bridge, though not the location for the infamous murder of Theon Greyjoy’s father by his uncle Euron, undoubtedly inspired the setting. Fishermen have been building bridges to the outcropping for 350 years. 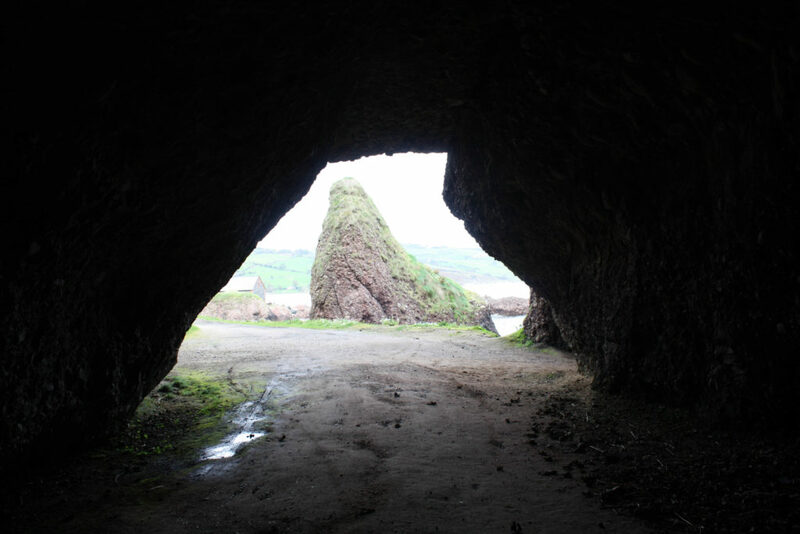 No murderous shadow babies here today, but with 400 million years of history, who knows what has actually happened in the Cushendun Caves, located on the northern Antrim coast. We haven’t seen the location since season two, but as a critical obstacle between Dorne and King’s Landing, they may make an appearance again. 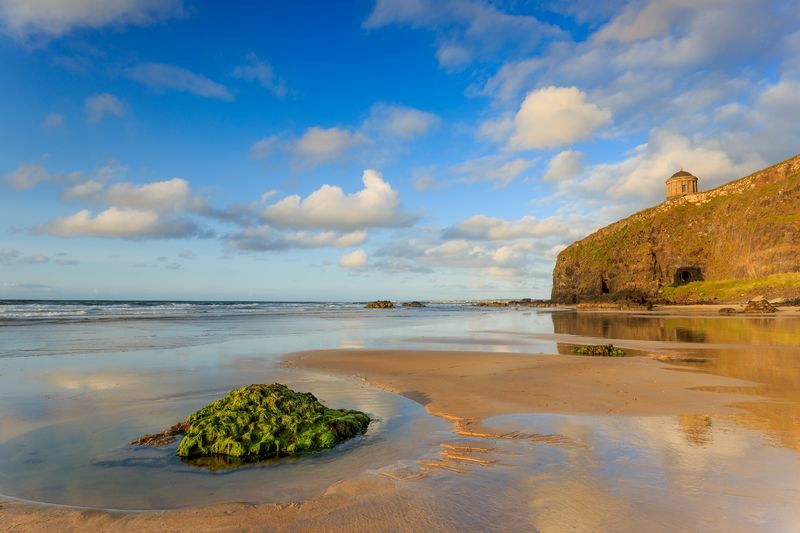 The last time we saw Downhill Beach, County Down, was when Stannis Baratheon renounced the Old Gods, made some human sacrifices, and began his campaign for conquering the Iron Throne in earnest. He’s dead now, so, it didn’t work out too well for him. This season, Daenerys seems intent on returning to her ancestral homeland with her dragons. And, if the rumors are true, Jon Snow will also probably venture down as well. The Mussenden Temple at the top of the Downhill cliffs is a replica of the ruined Temple of Vesta in the Roman Forum, where the Vestal Virgins were tasked with keeping the flame of the city burring eternally. Seems an apt location for a dragon landing. 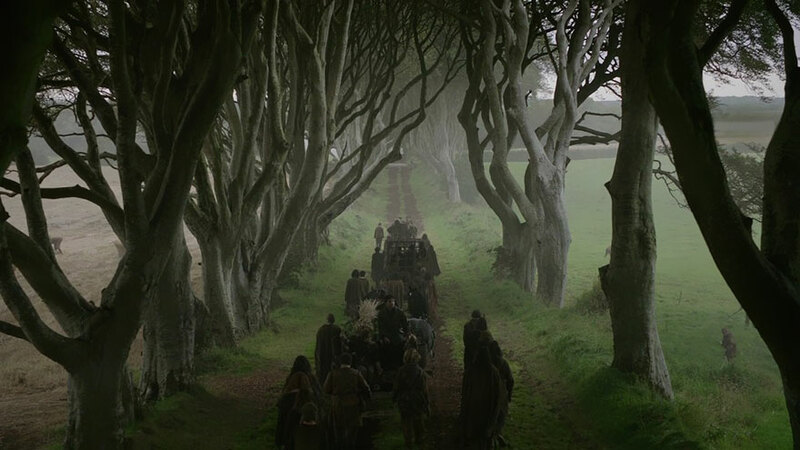 In what may be the only instance of the real-life name of a location actually being scarier than that of the fictional setting, the most iconic road in all of Westeros was filmed at the Dark Hedges of Ballymoney, County Antrim. Built to impress visitors to the 18th-century Gracehill House, the road runs through a tangled canopy of beech trees. 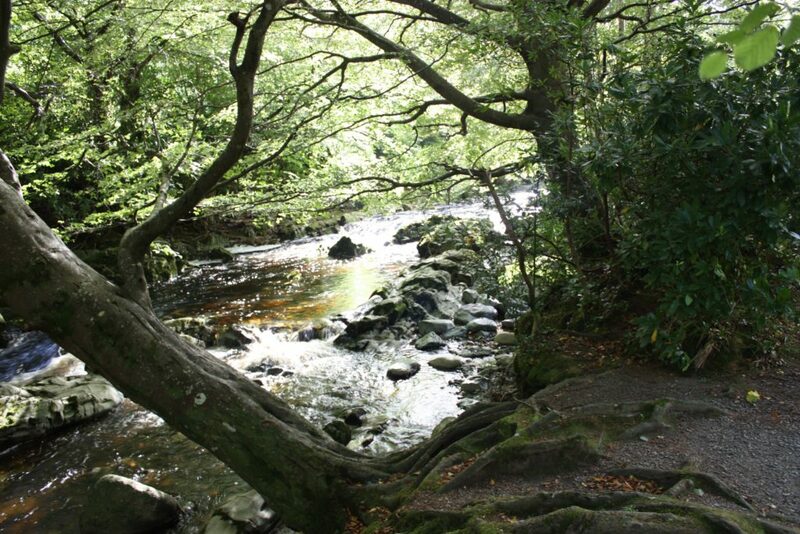 When the road was built by the Stuart family 200 years ago 150 trees lined the way, though now only about 90 remain. Though Westeros is posed to get most of the screen time this season, some of Essos was also filmed in Northern Ireland, including the Dothraki Sea, modeled after the Eurasian Steppe, and Slaver’s Bay, where Tyrion and Ser Jorah are captured en route to Dany in Meereen. 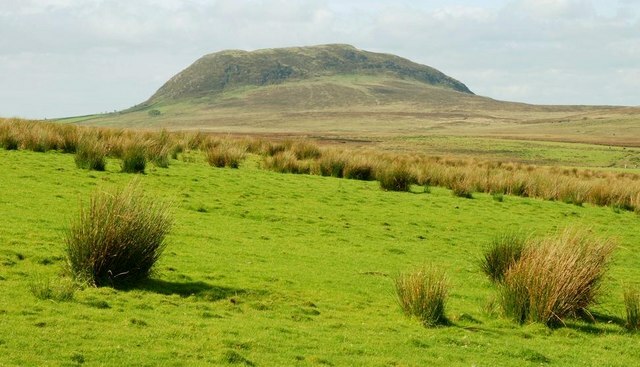 The Dothraki Sea scenes were filmed in the Shillanavogy Valley, a few miles east of Ballymena, County Antrim,where Slemish mountain towers in the background. 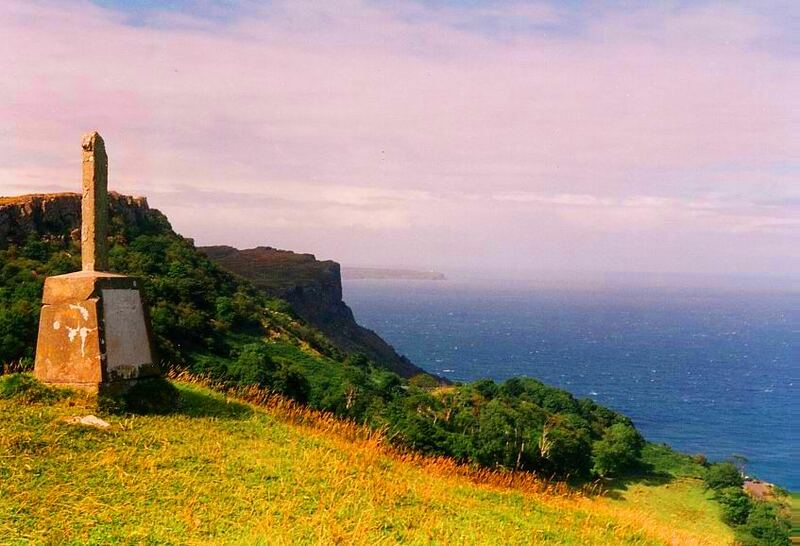 The shots of Slaver’s Bay, now renamed the Bay of Dragons after Daenerys liberated the slaves after conquering the cities of Astapor, Yunki, and Meereen, is actually Murlough Bay in north Antrim.